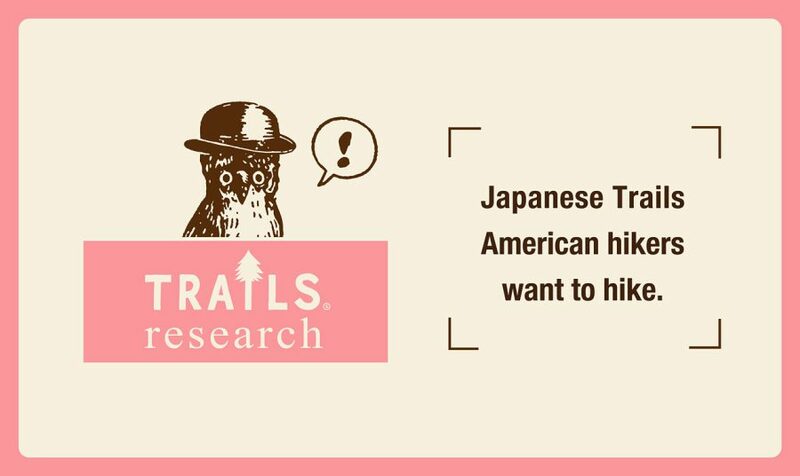 TRAILS Research: Where in Japan do Americans want to hike? 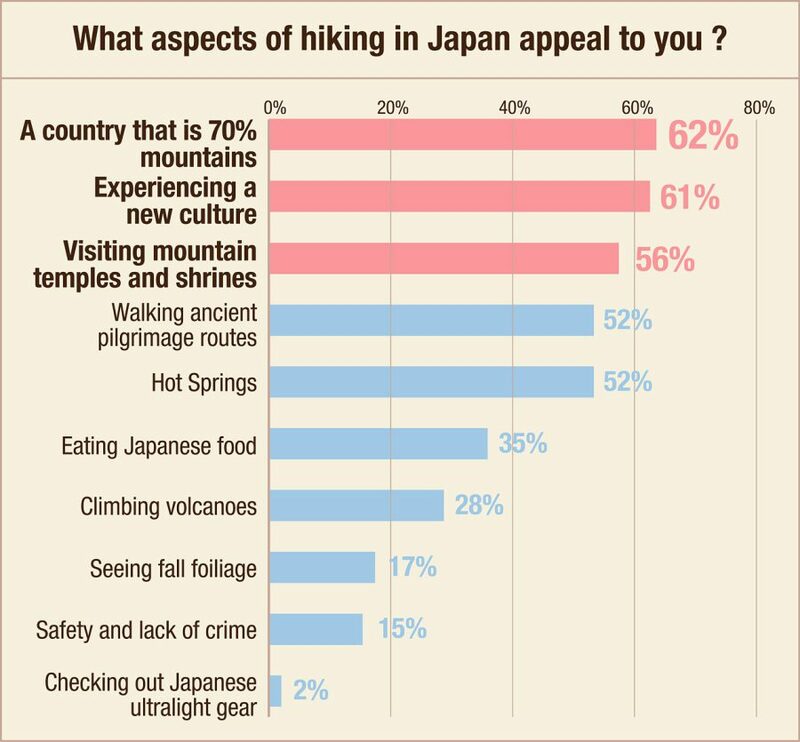 The survey asked Americans what aspects of hiking in Japan appeal to them the most. They were to put their top three options. Most people wanted to hike in Japan because they knew it was a country that is mostly mountains. The U.S., by contrast, has many flatlands, so hikers flock to the mountainous areas. 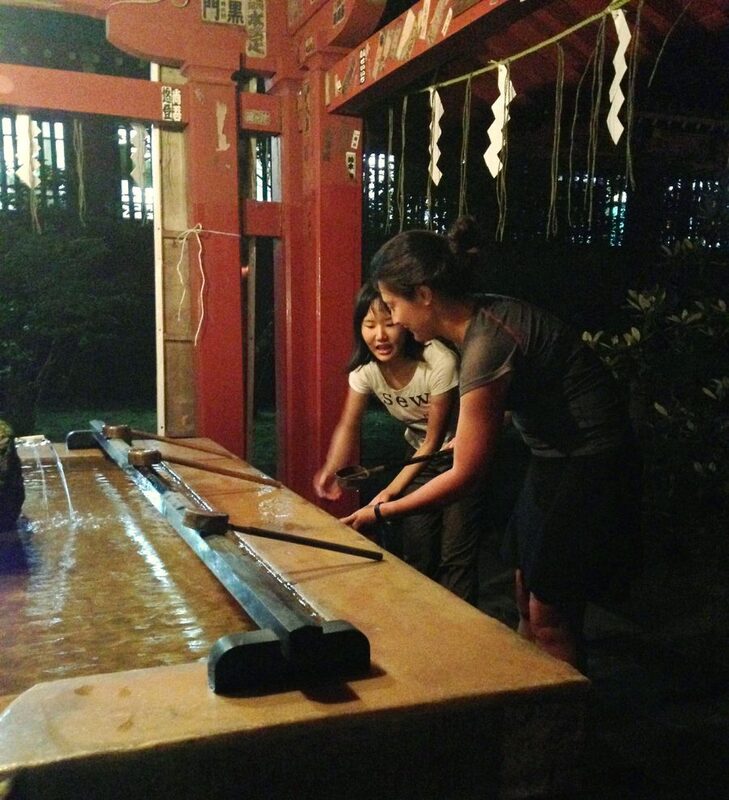 What surprised me the most about why Americans want to hike in Japan is that they are very interested in the culture. Americans want to hike trails in Japan that are pilgrimages or have temples and shrines along the way and are less interested in only looking at nature. There are few (if any) trails in America where hikers can go on a pilgrimage. It makes hiking a trail in Japan very special and different to American hikers. Another thing that makes hiking in Japan special for Americans is the number and frequency of hot springs. While there are some regions in the U.S. where hot springs can be found like in Cascade Mountains, they are rare in other regions like the Appalachian Mountains. American hikers like the idea of visiting hot springs after finishing a hike or to relax while on a longer backpacking trip. Compared to other countries, Japan has a very low crime rate, which appeals to some American hikers. This is especially true for many solo female hikers who want to experience hiking abroad without as much worry as they might have in other countries. As far as international hiking destinations go, Japan is a very safe country to visit. Backpackers of all genders worry about their gear being stolen while they camp or resupply in town. When a backpacker’s gear is stolen, his home and well-being is taken away. If a thru-hiker’s backpack is stolen, her trip is over. In Japan, this is much less of a concern than in many other countries. It was surprising to me that Americans were not so interested in looking at ultralight Japanese gear. Among gearheads, ultralight Japanese gear is famous. But perhaps it is a good thing that Americans are more interested in Japanese hiking culture than gear. 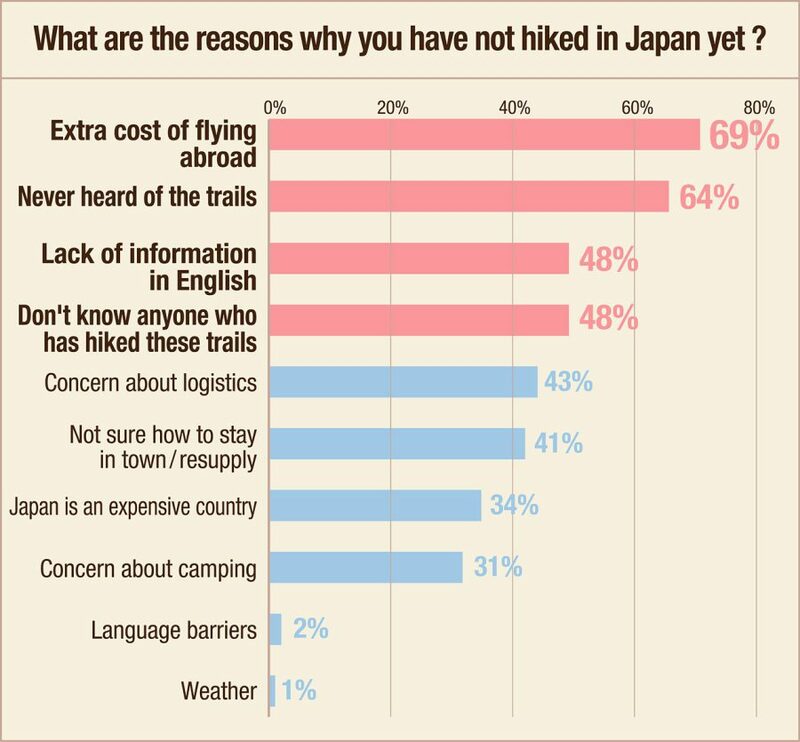 The survey asked American hikers why they have not hiked in Japan yet. Those who were surveyed could select all the reasons that applied. Several respondents said they had hiked in Japan and that none of these barriers were a problem. Among those who had not hiked in Japan, a major reason is lack of information available in English. Many had never heard of the long trails in Japan. When Americans had heard of the trails, they couldn’t find maps, trail town information, or other logistical details in English. Hikers that I interviewed especially wished that there were updated guidebooks and maps available in English. 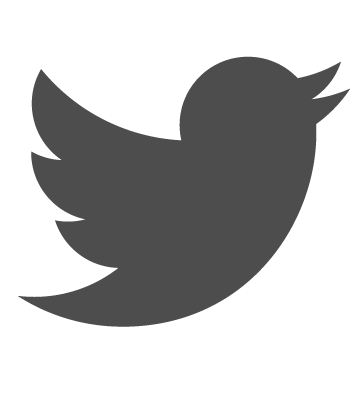 Although Wikipedia in English lists several long trails in Japan, many of the articles do not have more information. A few questions that Americans asked about trail logistics in Japan are: How do American hikers get from the airport to the trailhead? 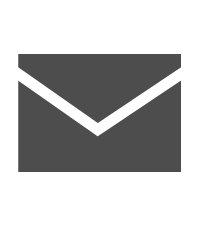 How can hikers resupply in Japan? How do they find a hostel or hotel? Are there hiker hostels or huts? Are reservations required? 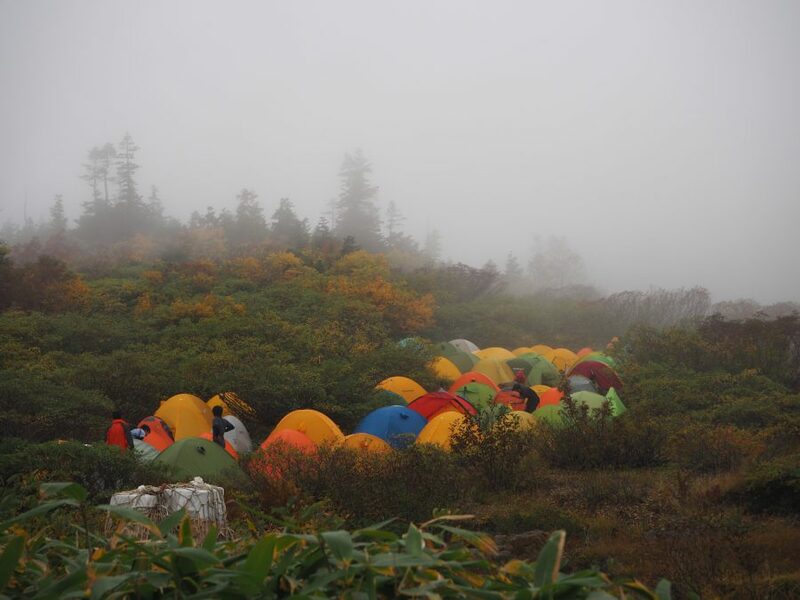 Another big concern among American hikers was about camping or permit logistics in Japan. 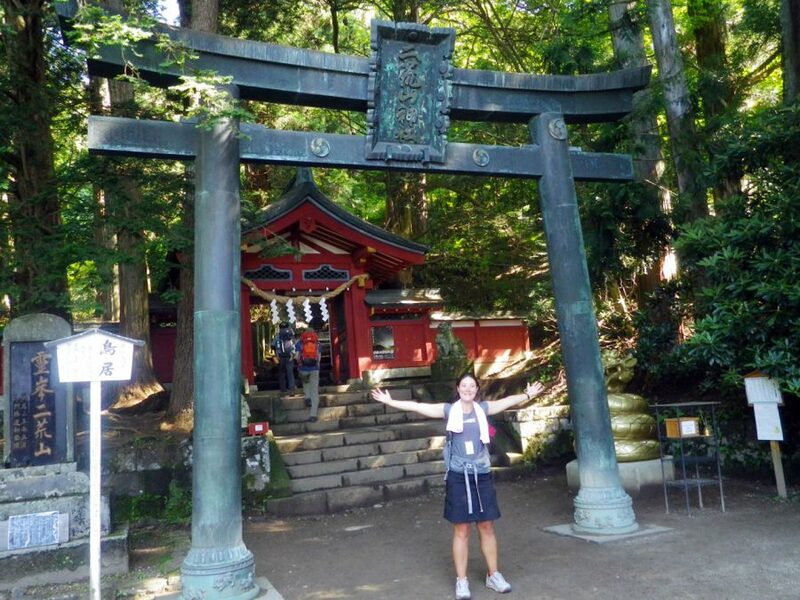 American hikers want to be respectful of Japanese culture and laws. But some hikers who have done research said that these can be confusing and it is hard to get information on. On most of the American long trails like the JMT, PCT, or AT, hikers can set up their tent almost anywhere near the trail. This is not the case in Japan, as it is also not allowed in many countries in Europe. Many American hikers wish that there was more information about where it is legal to camp along the long trails in Japan. Are permits required to hike in Japan as on the Pacific Crest Trail or John Muir Trail? 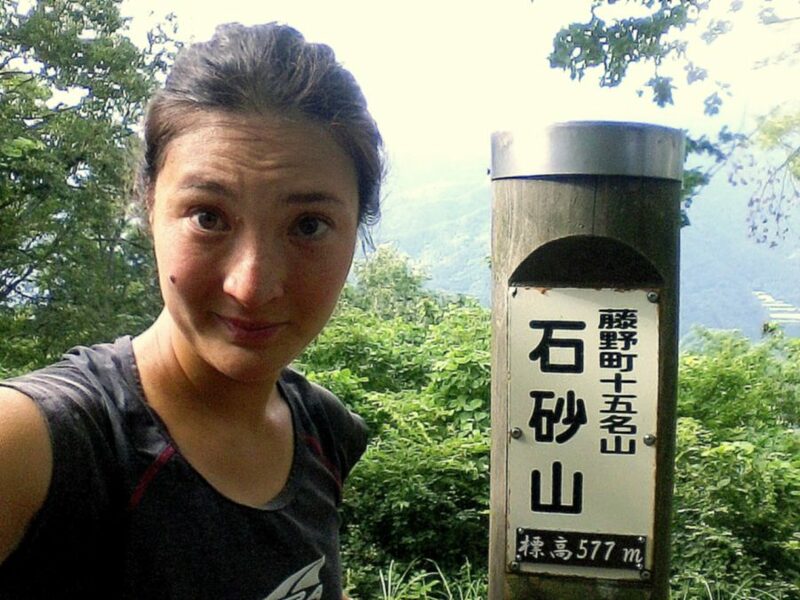 What do Japanese thru-hikers do when they are on a long-distance hiking trail in Japan? Several Americans were concerned that hiking in Japan would be much more crowded than in the U.S. Most hikers want to hike peaceful mountain trails, not something that is very developed or touristy. “How much of hiking in Japan is in nature vs. farmland?” one hiker asked. Some Americans have heard of how crowded Mt. Fuji can be. They were not interested in hiking a trail with that many people and were worried that all trails would have that much traffic. As with all long trails, the biggest barrier to hiking is the cost and time required to go backpacking. Most American hikers choose to hike in America instead of internationally because of the extra cost of flying abroad. Americans also do not get as much vacation time as Europeans, so the time they can spend backpacking each year is more limited. There is a perception among Americans that Japan is a very expensive country. Many hikers believe that in Japan, hikers may pay more for food, hotels and hostels, and gear. Of course, food and lodging are more expensive in Japan than in Nepal or many places in South America. However, I do not think that Japan is as expensive a hiking destination as many Americans think it is, especially compared to New Zealand or European hiking destinations. Ultimately, language barrier and information are the main reasons that Americans are not hiking in Japan as much as in other countries. Some hikers that I interviewed said they wanted a local guide to help them with logistics such as getting to trailheads and shopping for food. The language barrier can especially be a concern if an American hiker were to become injured. A hiker I interviewed asked that he did not know what to do if he had a medical issue while hiking in Japan. 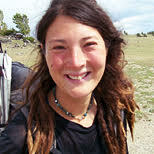 Hopefully, in the future there will be more exchange of information and friendship between Japanese and American hikers. As more Japanese hikers walk the JMT and PCT, I hope more American hikers will consider hiking in Japan. 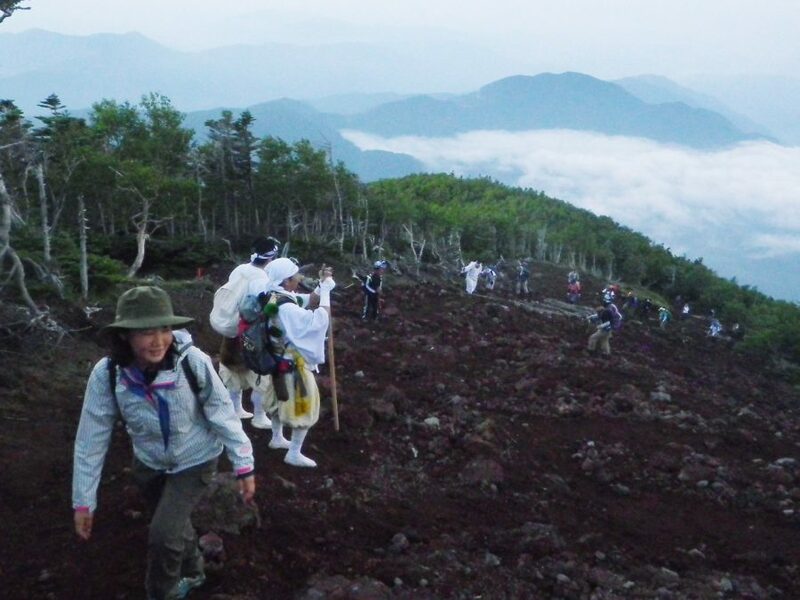 Japan has a growing thru-hiker culture and community. 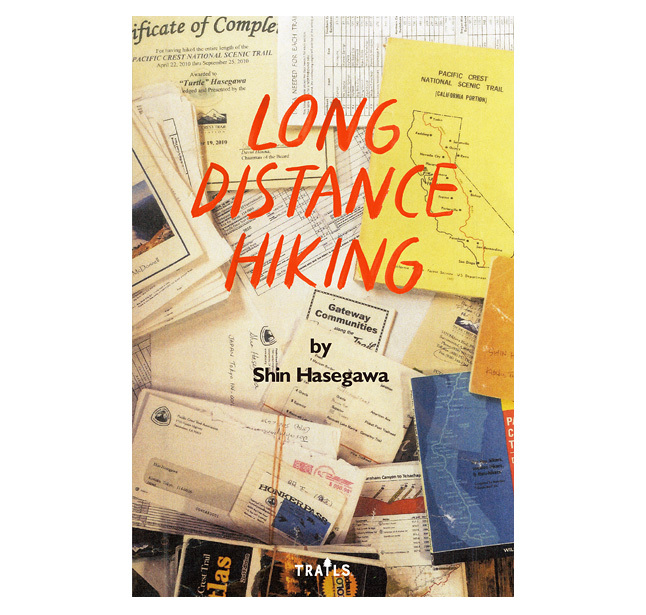 Perhaps in the future, a hiker will write a book like Shin Hasegawa’s Long-Distance Hiking with information about hiking in Japan. As thru-hiking becomes more popular among Japanese and American hikers, I expect that backpackers will look more to long trails in countries other than their own.